be attended prior to the Baptism of the child. To schedule a Baptism, please call the Rectory. Please call the Rectory at 215-657-0252 to register for class. Click here to learn about the Guidlines for Baptismal and Confirmation Sponsors. Every Saturday from 12:30 pm to 1:00 pm and 4:00 pm to 4:45 pm, on the Eve of First Friday and Holy Days of Obligation from 7:30 pm to 8:00 pm, or any other time by previous arrangement with one of the priests. Did I miss Mass on Sundays or holy days of obligation through my own fault? Did I fast and abstain on the prescribed days? Did I hate or quarrel with anyone or desire revenge? 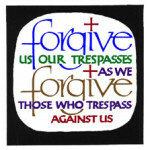 Did I refuse to forgive? Was I disrespectful? Did I willfully look at indecent pictures, watch immoral movies, or read immoral books or magazines? Did I engage in impure jokes or conversations? Did I willfully entertain impure thoughts or commit impure acts, alone or with others? Did I use contraceptives to prevent conception? Did I tell lies? Did I sin by gossiping about others? Did I judge others rashly in serious matters? Have I envied others? 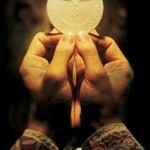 The greatest of the seven sacraments is the Holy Eucharist. The Catholic Church teaches that in the Eucharist, Our Lord Jesus Christ, true God and true man, is really present under the appearances of bread and wine. Our Lord is not merely symbolized by the bread and wine; nor is he present only through the faith of those present. Rather, the two material things, bread and wine, are completely changed into the body and blood of Jesus Christ, leaving behind only their sensible appearances. Thus, through the words of consecration spoken by the priest, Jesus, without ceasing to be present in a natural way in heaven, is also present sacramentally, body, blood, soul and divinity, in many places throughout the world. 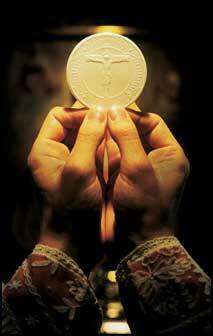 The Eucharist is not only a sacrament but also a sacrifice. In it Jesus, acting through the priest, makes present again in an unbloody manner the sacrifice which he offered once for all by shedding his blood on Calvary. In Holy Communion, by obeying Jesus’ command to eat his flesh and drink his blood, the faithful are also united spiritually with Jesus himself, and they unite their own prayers, works and sufferings to his perfect sacrifice. Any sick or housebound parishioner can have the priest visit to administer the Sacraments. 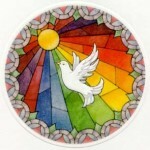 Please call the Rectory at 215-657-0252 or 215-657-0253.
Who is the Holy Eucharist? It is only fitting that, since marriage publicly establishes a couple in their life in the Church, that the sacrament be celebrated in a public Church liturgy. If you are already married, consider participating in a Marriage Encounter weekend for a chance to look deeply into your relationship with each other and with God. Couples planning to be married at St. David Parish should make arrangements at the Rectory at least 6 months before the date of marriage. Marriages can be celebrated on Saturdays up to 2:00 PM. Read the Sacrament of Matrimony Fact Sheet page for complete details. The sacrament of Holy Orders confers upon men the grace and spiritual power to celebrate the sacraments as ordained ministers of the Catholic Church. 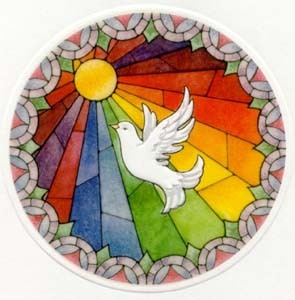 The same sacrament is administered in three degrees, each with a higher sacramental effect for the ordained minister: first deacon, then priest, and finally bishop. The bishop receives the fullness of the sacrament of Holy Orders, and is able in turn to administer all seven sacraments, through his succession to the apostles. The priest shares in the ministry of the bishop and serves at his discretion, administering the sacraments of Baptism, Eucharist, Reconciliation, Marriage, Anointing of the Sick and, with special permission, Confirmation. 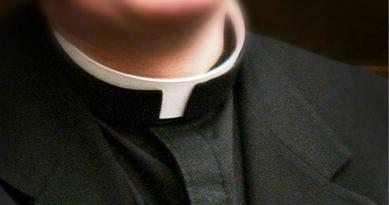 The deacon is ordained for service to the church, and can administer the sacraments of Baptism and Marriage. 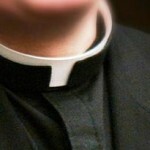 Deacons can be married at the time of their ordination. (CCC 1536 – 1600). If you feel called to the vocation of the priesthood, diaconate, or a religious order, contact the Rectory at 215-657-0252 visit the Diocese of Philadelphia website. 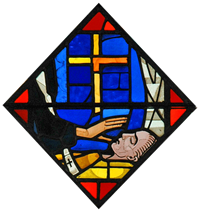 The sacrament of Anointing of the Sick is a sacrament of healing. Where once it may have been reserved for individuals who were near death and preparing for passing over to eternal life, hence its former name of Extreme Unction or Last Rites, today it is administered to those who fall seriously ill and are seeking restoration to health through the special grace of this sacrament. (CCC 1499 – 1532). 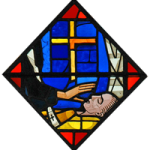 Please call the Rectory at 215-657-0252 if you or someone you know needs to receive the sacrament of Anointing of the Sick, or for Mass intentions, or if you would like a prayer request to be included as an Intercessory Prayer during an upcoming liturgy. Any sick or housebound parishioner can have the priest visit to administer the Sacraments.